Washington, D.C. – U.S. 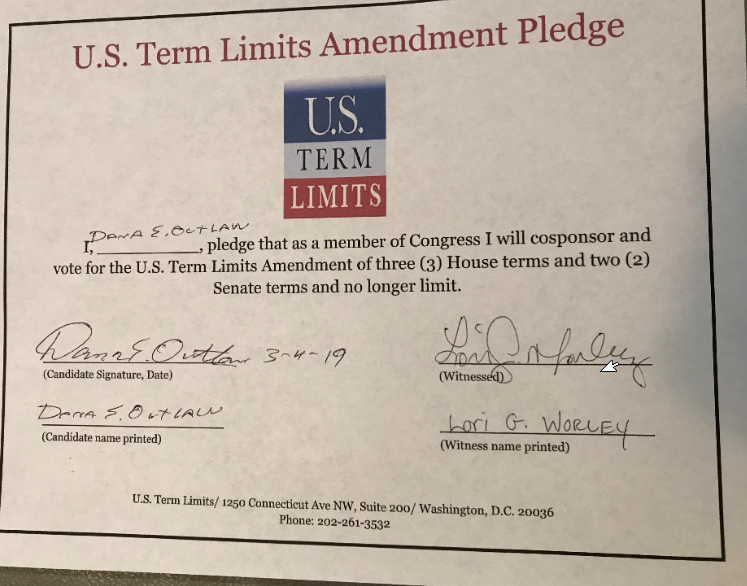 Term Limits (USTL), the leader in the non-partisan national movement to limit terms for elected officials, praises North Carolina congressional district 03 candidate Mike Payment for signing its pledge to term limit Congress. Previously, ten other candidates: Tim Harris, Dana Outlaw, Phil Law, Jeff Moore, state representative Phil Shepard (HD-15), Gary Ceres, Chimer David Clark Jr., Dr. Kevin Baiko, Dr. Joan Perry and Col. Francis De Luca all signed the term limits pledge. The CD-03 seat was vacated by Rep. Walter Jones who died earlier this year. Primaries are scheduled for April 30, 2019, and primary runoffs are slated for July 9, 2019. The general election will be held September 10, 2019. The U.S. 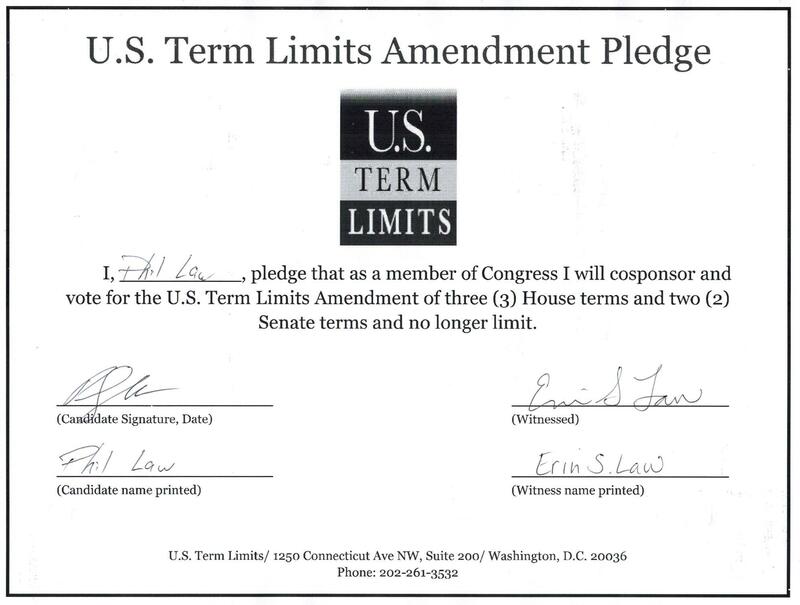 Term Limits amendment pledge is provided to every announced candidate for federal office. It reads, “I pledge that as a member of Congress, I will cosponsor and vote for the U.S. Term Limits amendment of three (3) House terms and two (2) Senate terms and no longer limit.” The U.S. Term Limits constitutional amendment has been introduced in both the U.S. Senate by Senator Ted Cruz (SJR1) and the U.S. House by Representative Francis Rooney (HJR20). The term limits amendment resolutions would require a two-thirds majority in the House and Senate, and ratification by 38 states, in order to become part of the U.S. Constitution. Congressional term limits is the one bipartisan issue supported by both President Trump and former President Obama. View Payment’s signed pledge here. View De Luca’s signed pledge here. View Perry’s signed pledge here. View Baiko’s signed pledge here. View Clark’s signed pledge here. View Ceres’s signed pledge here. View Shepard’s signed pledge here. View Harris’s signed pledge here. View Outlaw’s signed pledge here. View Law’s signed pledge here. View Moore’s signed pledge here.